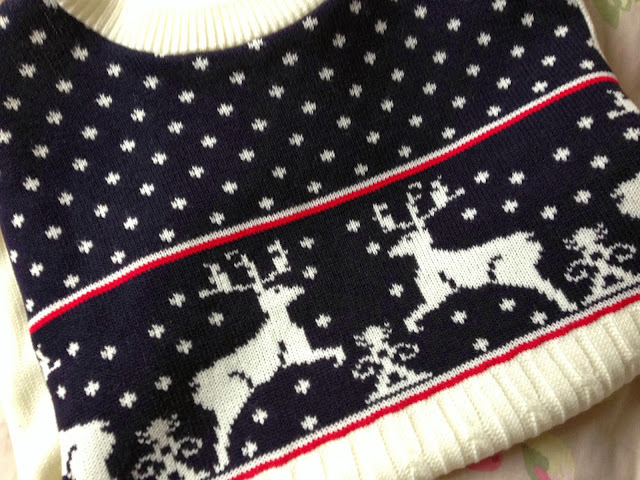 As it's officially Christmas Jumper Day I thought what better opportunity for me to share my Christmas jumper of 2013. This little number landed in my post box from the lovely people at Harper & Lewis Vintage*. I love the garish Christmas jumpers dotted around Primark, but this year I really wanted something that I could wear out and about without looking too OTT. 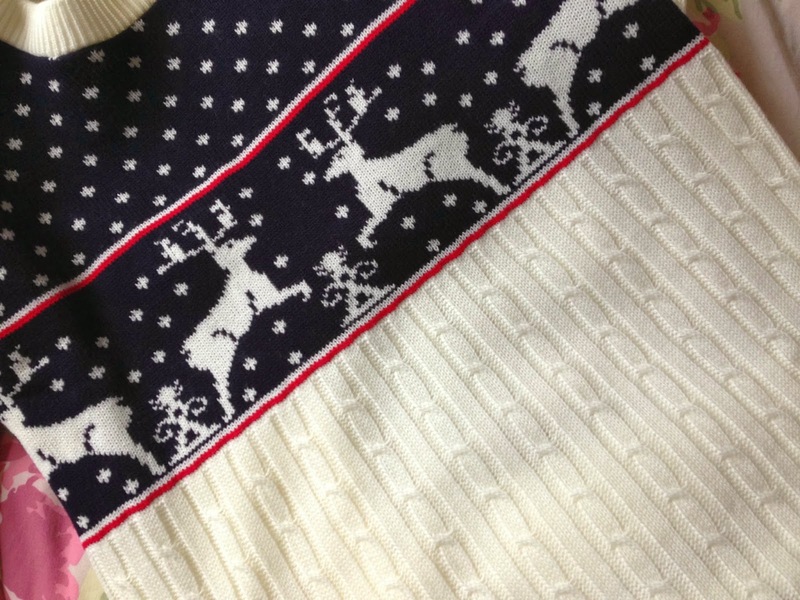 I love the cricket-style cable knit and the cute reindeer print, it's perfect to pop on over jeans as an over sized jumper. 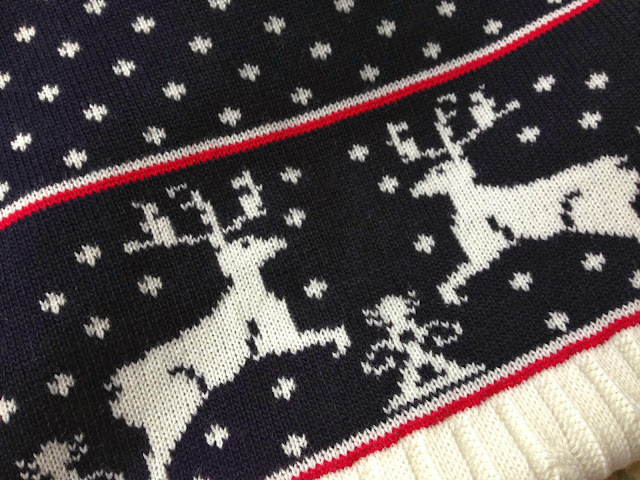 It's really thick and good quality too, so I can see this coming out of my wardrobe for many more Christmas'. I can't wait to wear this on Boxing Day in Centre Parcs, I can see I will be nice and snuggly in this cosy piece of knitwear! Check out more of Harper & Lewis' products on their site here and on ASOS Marketplace here. I am gutted I didn't know about Festive Jumper Day - such a cute idea.